This study examined a “change of scenery” effect on performance in major league baseball (MLB). We also tested this effect for voluntary versus involuntary employee departures, as well as employees returning to a past employer. This study uses publicly available MLB performance data from 2004 to 2015. The data comprise 712 team changes for players following two consecutive years with the same organization. Data were analyzed using MANCOVA to assess the impact of changing teams on player performance. Results indicate players with declining performance benefited significantly from a change of scenery. Following a team change, these players experienced a significant increase in their performance that remained stable through a subsequent season. The effect was not different for players who changed teams via trade and free agency and was modest for those returning to a past organization. Analysis also showed that players leaving while their performance was improving suffered a subsequent performance drop-off in the new organization. As the war for talent escalates and employees change jobs more frequently, extending our understanding of how performance can be influenced by work context may provide new insight into organization staffing policies. Results extend field theory by highlighting how past performance interacts with new work contexts to influence performance. 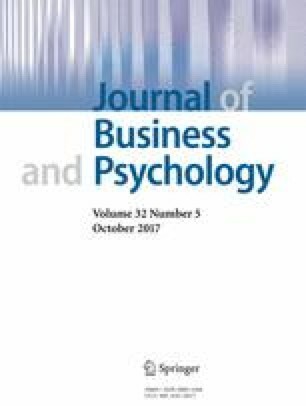 This is one of the few studies evaluating the job change-performance relationship, and perhaps the first to account for the effects of performance trends prior to exit. Grabiner, D. (1994). The sabermetric manifesto. http://www.seanlahman.com/baseball-archive/sabermetrics/sabermetric-manifesto. Nissen, M. (2015). Here’s where apple is poaching its electric car team from. http://qz.com/347000/heres-where-apple-is-poaching-its-electric-car-team-from/. Seetharaman, D.& Chan, E. (2015). Apple poaching auto engineers to build battery division: Lawsuit. http://www.reuters.com/article/us-apple-autos-lawsuit-idUSKBN0LN04Y20150219. Weinstein, M. (2013). Is the change of scenery effect a real thing? www.fangraphs.com/blogs/is-the-change-of-scenery-effect-a-real-thing.